Harrogate Golf Club is the town’s oldest course established in 1892. Our colonial style Clubhouse and attractive parkland/ heathland course provide a beautiful setting for members, visitors or corporate days out. All visitors can be assured of a warm Yorkshire welcome, excellent facilities and an enjoyable round of golf. We are located only two miles from the centre of Harrogate, the current course measures 6198 yards and is on easy walking terrain. It is widely regarded as a fair test of golf, requiring accuracy rather than distance off the tee. It’s Mackenzie designed greens and the mature tree lined fairways provide an enjoyable challenge for all handicaps. The course is always presented in first class condition and many visiting parties come back year after year. The par three’s are a good test and the final six holes on the course include five testing par 4’s, making this one of Yorkshire’s toughest finishing stretches. The greens are always known to be very true combined by great bunkering. The Clubhouse has excellent facilities including wellappointed changing areas, lounges, dining room, snooker room and the veranda which is the perfect setting for groups of different sizes. We look forward to welcoming you to Harrogate Golf Club. 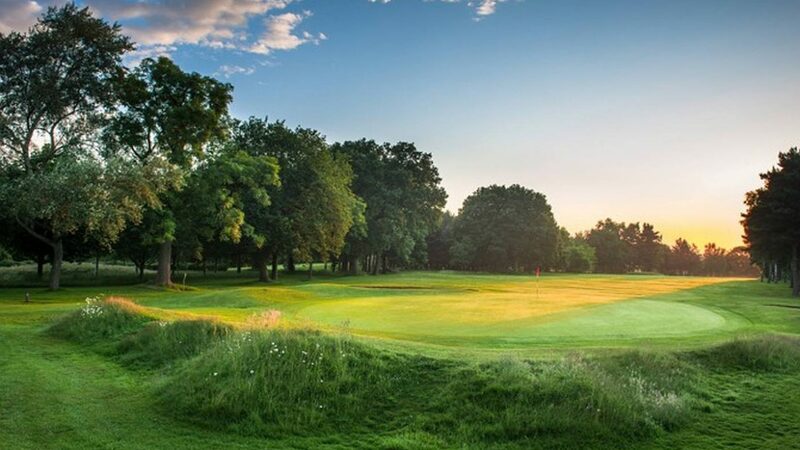 Harrogate Golf Club is situated to the West of town just 2 miles from the centre of Harrogate and is accessible from both the North and South via the A1. Visitors are very welcome and green fees start from just £25 per round which can be booked on line via the club website. Harrogate is spoilt with an abundance of hotels to suit every budget, the club has a special arrangement for visiting golfers with The Cairn Hotel. Harrogate Golf Club has excellent practice facilities with a large practice ground and short-game area. The clubhouse can accommodate all types of celebration in its well appointed function rooms.